In addition, the magazine has introduced the inaugural Blawg 100 Hall of Fame, featuring 10 of the very best law blogs, known for crafting high-quality, engaging posts day in and day out. Now that the editors have made their picks, the ABA Journal is asking readers to weigh in and vote on their favorites in each of the 6th Annual Blawg 100's 15 categories. 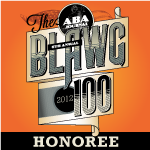 Go to http://www.abajournal.com/blawg100 to register and vote. Voting ends at close of business on Dec. 21, 2012. Launched in early 2011, Small Firm Innovation focuses on the business aspect of running a law practice, and the nitty gritty of what has made a solo and small firm practice a success. Its Contributors include well known, successful solo and small firm lawyers, first time solo and small firm lawyers, newly-graduated lawyers hanging out their own shingles and a mix of legal technology and marketing experts. Debra Weinstein, Monica Goyal, Jill Nelson, Jeffrey Taylor, Sterling McKinley, Tomasz Stasiuk, Rebecca Graham, Joseph Bahgat, Anthony Reeves, Daryl Bernstein, Eric Greenwood, Gerry Oginski, Jay Pinkert, Jeff Richardson, Katie Wilson, Richard Georges, Rachel Rodgers, Sean McGinnis, Victor J. Medina, Russell Alexander, Robert J. Ambrogi, Micah Ascano, Andrew Barovick, Nicole Black, Chad Burton, Colin Cameron, Andrea Cannavina, Jared Correia, Carolyn Elefant, Jordan Furlong, David Gulbransen ,Tom Haren, Christopher G. Hill, Rob Hyndman, Lior Levin, Mallory Lynn, Sapna Mahboobani, Steve Matthews, Mark C. Metzger, Phillip Millar, Edward Poll, Donna Seyle, Brian Sinclair and Ernest Svenson. "Each year, our choices become tougher. Blogging has become such a staple of professional communication that keeping up with our own directory of more than 3,500 blogs by lawyers, judges, law professors or even law students is more formidable than it's ever been," said ABA Journal Editor and Publisher Allen Pusey. "Some of them have become such permanent, even required, fixtures in our everyday reading that we're introducing the ABA Journal Blawg 100 Hall of Fame to recognize those blogs and bloggers that have set the standards for this vast, vibrant network for legal news and commentary." Small Firm Innovation was created in the wake of the financial crisis that forced many fresh law school graduates and seasoned lawyers to start solo and small law firms. Many found themselves unequipped to run a business. Small Firm Innovation focuses on two areas: the business aspect of running a law practice, and the nitty gritty of what has made a solo and small firm practice a success. From seasoned and successful lawyers to the newly graduated, Small Firm Innovation emphasizes practical solutions for real-world challenges faced by solo and small firm lawyers, and creates a dynamic exchange of ready-to-implement ideas. Small Firm Innovation was created, and is maintained, by Clio. The ABA Journal is the flagship magazine of the American Bar Association, and it is read by half of the nation's 1.1 million lawyers every month. It covers the trends, people and finances of the legal profession from Wall Street to Main Street to Pennsylvania Avenue. ABAJournal.com features breaking legal news updated as it happens by staff reporters throughout every business day, a directory of more than 3,500 lawyer blogs, and the full contents of the magazine. With nearly 400,000 members, the American Bar Association is the largest voluntary professional membership organization in the world. As the national voice of the legal profession, the ABA works to improve the administration of justice, promotes programs that assist lawyers and judges in their work, accredits law schools, provides continuing legal education, and works to build public understanding around the world of the importance of the rule of law.